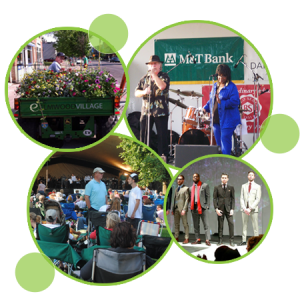 Elmwood Village Summer Concert Series — The Elmwood Village Summer Concert Series, now in its 19th year, is a summertime must-do for Buffalonians. Attracting well over 2,000 residents and visitors each week, the Summer Concert Series features local bands in the unique outdoor setting of Buffalo’s beautiful Bidwell Parkway. Fall Cocktail Party — Each year we bring residents and businesses together to share the positive change and progress made by our community and to celebrate the work of the Elmwood Village Association. Community Events — From the Elmwood Village Spring Clean-Up to the bi-annual Buffalo Porchfest to the Elmwood Village Safe Trick-or-Treat, the Elmwood Village Association produces community-building events all year round. The Beautification District — Help us expand flower baskets, trash and recycling centers, and expanded lights for seasonal decorations and holiday lighting. Why Sponsor an EVA Program or Event? 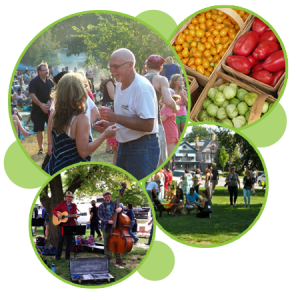 (It’s Practical) — Your sponsorship of an Elmwood Village event will help you market and promote your business to Elmwood Villagers and Elmwood Village visitors who form a desirable consumer group. 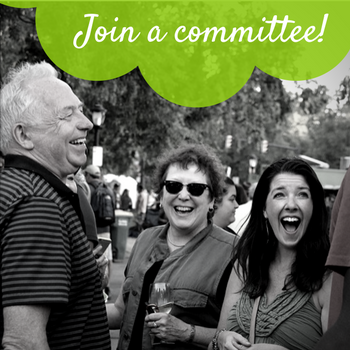 (It’s Constructive) — Not only will your sponsorship put you in front of Elmwood Villagers, it will help you make connections with neighbors, cultivating greater participation in your brand. (It’s Visionary) — By sponsoring an Elmwood Village event, you and your company will be a part of a neighborhood named one of the 10 Best in America and a neighborhood critical to Buffalo’s renaissance and overall appeal. How To Sponsor an EVA Program or Event? 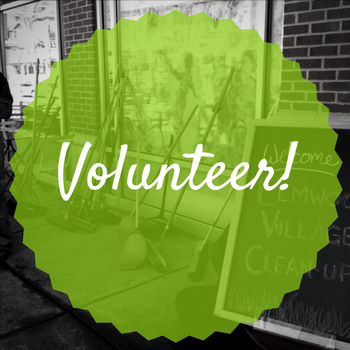 To learn more about sponsoring an Elmwood Village event or contributing to our organization’s continued success, contact EVA Executive Director, Ashley Smith, by phone at 716.881.0707 or by e-mail at ashley@elmwoodvillage.org.